Rostovskaya nuclear power plant fulfilled the September plant of electricity production by 114.3%. The schedule volume being 937 million KWh, the actual production comprised over 1.70 billion KWh. As of October 1, since the beginning of the year Rostovskaya NPP has generated almost 11.158 billion KWh, since the launch – 105. 504 billion KWh. 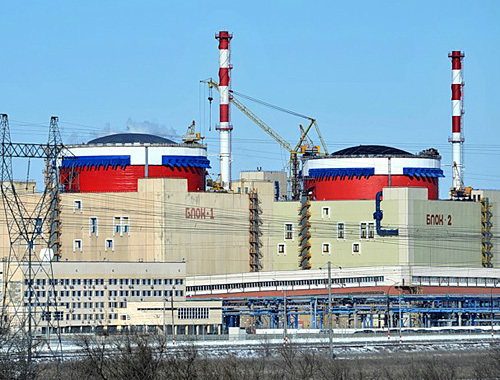 The Federal Tariff Service confirmed the plan of electrical energy production for the Rostovskaya NPP for 2012 in the volume of 14 billion 724 million KWh of electrical energy. 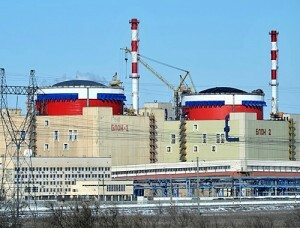 Rostovskaya NPP is the branch of OAO Rosenergoatom Concern. The enterprise is located on the bank of the Tsymlyanskoye water storage lake 13.5 km off the town of Volgodonsk. The power plant has two generating units with the VVER-1000 type of reactors with the installed capacity of 100 MW. The generating unit #1 was commissioned in 2001, the generating unit #2 – in December 2010. The generating units ## 3 and 4 ate under construction, they are scheduled for commissioning in 2014 and 2017 respectively.